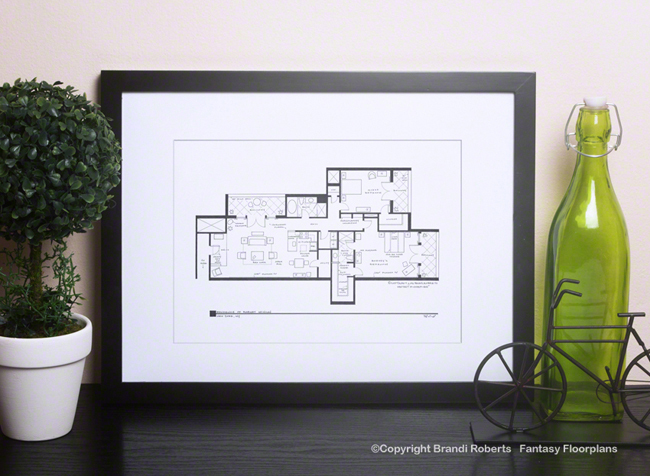 Buy a poster of Don Draper's apartment floor plan from Mad Men! 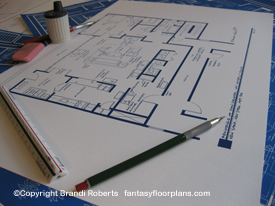 My fictional Don Draper apartment floor plan from Mad Men is hip, though sparsely decorated. This stylish New York City bachelor pad apartment in the Village features one bedroom, 1.5 baths, galley kitchen, dining room, large living area and a washer/dryer (not that Don would know how to operate them). 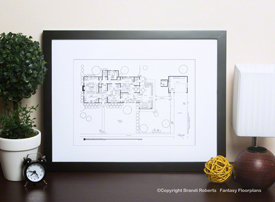 In the entry we find Don's briefcase and Ray Ban aviator sunglasses. On the kitchen counter is Don's favorite booze -- Canadian Club Whiskey. The dining room, which is being utilized as a bedroom for Bobby and Sally, features bunk beds. In the large living area is Don's shoe shine kit, a New York Times and Don's "Why I quit tobacco" journal entry. Ironic considering that his apartment is littered with lit cigarettes on various table top surfaces. He has a large b/w TV which is playing the Glo-Coat kid commercial. 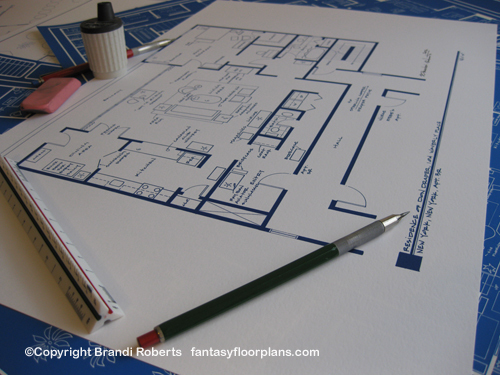 My Don Draper apartment floor plan is expertly hand-drafted and sure to be a wonderful conversation piece! 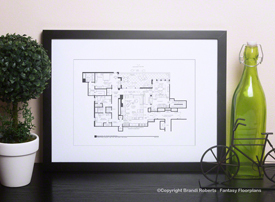 If you love Mad Men, make sure you check-out my entire collection of Mad Men floor plans including: the 22nd Floor of Sterling Cooper Offices, the 23nd Floor of Sterling Cooper Offices, the 37th Floor of Sterling Cooper Draper Pryce, Don and Betty's Ossning house, and Megan and Don's swanky New York apartment.